WITH LIMITED SLOTS AVAILABLE. ALL QUALIFIED PILOTS MAY APPLY. WOWS is a competition series comprised of Regionals leading to a Championship, that combines the critical elements of wingsuit flight to improve skills on group wingsuit jumps. The WOWS series helps pilots to develop advanced skills for formation flying, speed tasks, and efficiency tasks. It is an open competition which any qualified pilot may enter. The spirit of the WOWS aims to foster a fair, exciting, and skill-relevant format that increases your level of wingsuit piloting. Every WOWS event has two competitions: Speed, and Distance. The winner is the first person to pass through the finish line, or "Wall". The finish wall is a vertical GPS wall extending upwards over a landmark at the DZ such as a runway or highway. Winner is the furthest person to pass through the finish altitude "Floor", within the race lane. Pilots must maintain heading and stay within the race lane. The scoring system determines the distance that each pilot flies above the finish floor. 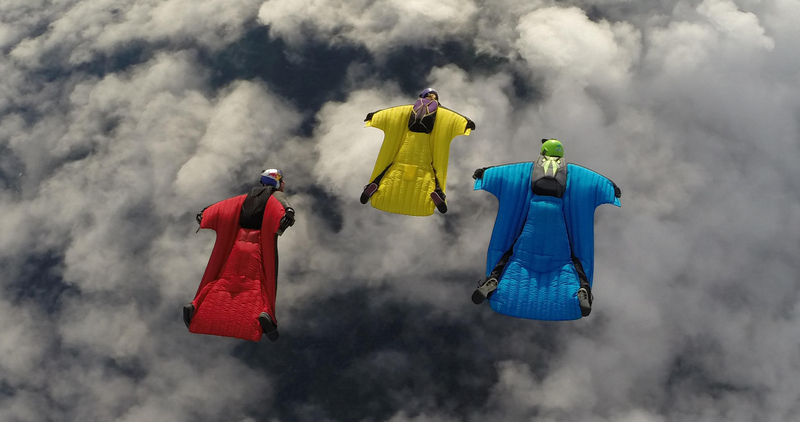 The Wide Open Wingsuit Series includes regional qualifier competitions and a championship at the end of the season.